Mr. Barber please don't hurt me! I'm writing this for both barbers and their clients. I'm tired of seeing so many people with scars/scabs around their hairlines from barbers who think they have to have the sharpest clippers in the world to give someone a good haircut. We are not tattoo artists we are barbers. There is no excuse for causing your customers to have scabs around their hairlines. It's bad for business and painful to your clients. Years ago in barber college I thought I was the best barber in the world. I had the sharpest clippers at the school, and I was giving my clients A1 haircuts, or so I thought. I started noticing that as I was edging them up they would wince or jump a little during the haircut. I also started noticing that my clients were returning with little bumps and scabs around there hairlines (red flag). So here's what I did. Here is the secret, tell your barber about it or just come see me and I'll show you how it works. 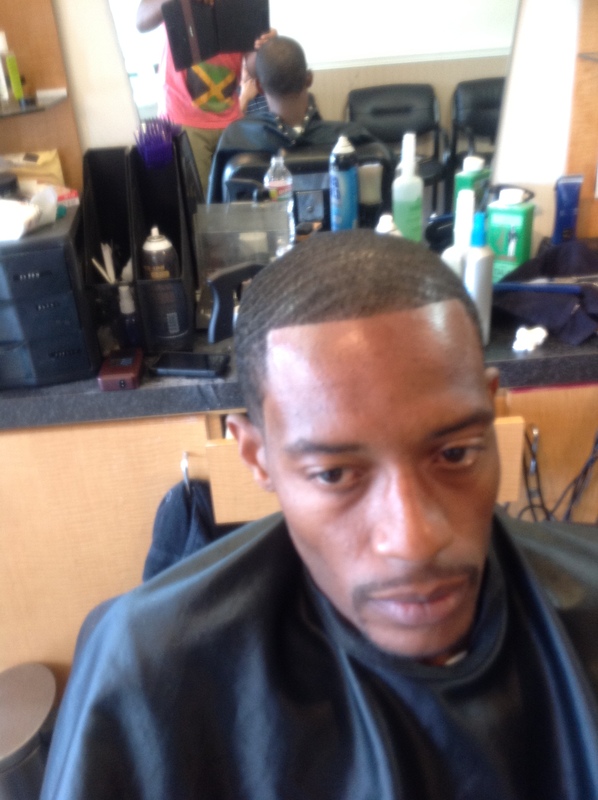 The sharp clippers catch the hair better and that is the reason why the line up looks better with sharp clippers. So what if you took holding spray or spritz and sprayed it on your customers hairline? What if you then followed it up with a blow dryer so that the hair dried into place faster? What if you then followed that up with sharp clippers but not sharp to the point that you cause your customer any pain or discomfort? What if you then use your handy dandy straight razor without applying any water or shaving gel? Well my friends to answer your questions you will get an extra crispy line up fresher than a sliced orange on a Sunday morning. Barbers try it out, clients ask your barbers about it. No more tattoo scabbed up hairlines. No need to scream when the barber applies alcohol, just fresh edge ups pain free.